March for Life Canada – May 12th, 2016 – Thank you for standing with us! 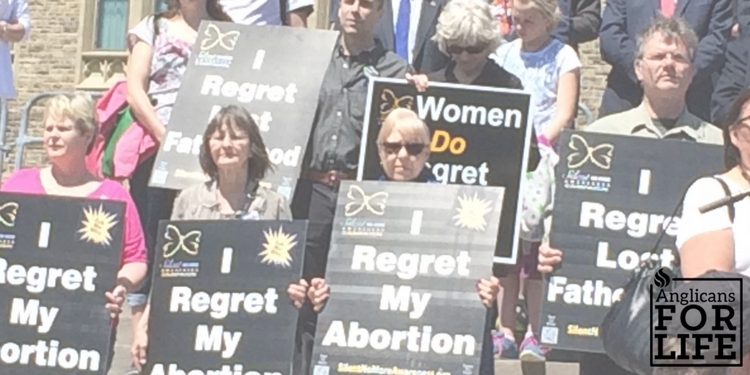 Thank you to the Bishops, Clergy, and Laity who witnessed for the Sanctity of Human Life across Canada on May 12. AFLC was well represented in Victoria, BC; Edmonton, Alberta; Winnipeg, Manitoba; Ottawa, Ontario; and Halifax, Nova Scotia. Thank you to the AFLC Co-ordinators who organized the many details in gathering and sharing information, procuring signs and hats, taking pictures, leading their teams at the March, and sharing the day’s experience with us! AFLC thanks Rev’d Wm Klock and members of the Reformed Episcopal Church, who joined in the Victoria March with AFLC signs. AFLC thanks Archdeacon Paul Crossland and members of his parish who joined in their local March as Identifiable Anglicans by carrying AFLC signs and wearing AFLC hats! AFLC salutes our most senior clergy member (93 years young)!